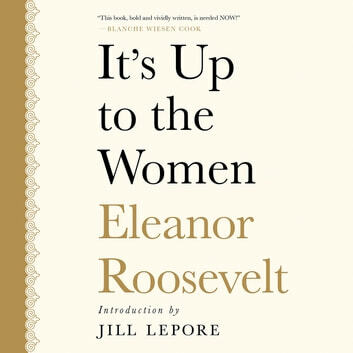 "Women, whether subtly or vociferously, have always been a tremendous power in the destiny of the world," Eleanor Roosevelt wrote in It's Up to the Women, her book of advice to women of all ages on every aspect of life. 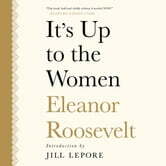 Written at the height of the Great Depression, she called on women particularly to do their part--cutting costs where needed, spending reasonably, and taking personal responsibility for keeping the economy going. Whether it's the recommendation that working women take time for themselves in order to fully enjoy time spent with their families, recipes for cheap but wholesome home-cooked meals, or America's obligation to women as they take a leading role in the new social order, many of the opinions expressed here are as fresh as if they were written today.